OK everyone. Remain calm. 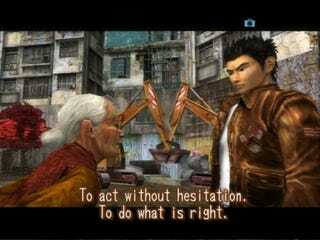 Shenmue 3. OK NOW you can Panic. Yu Suzuki of Shenmue fame recently attended GDC whereupon he was interviewed by Eurogamer. Eurogamer asked Suzuki that, given his desire to make the game and the fans desire for him to return to the series, whether he'd considered crowd funding the game via Kickstarter. "Yes," Suzuki answered. "I am researching it." Guess I'd better get around to finishing the second one after all!